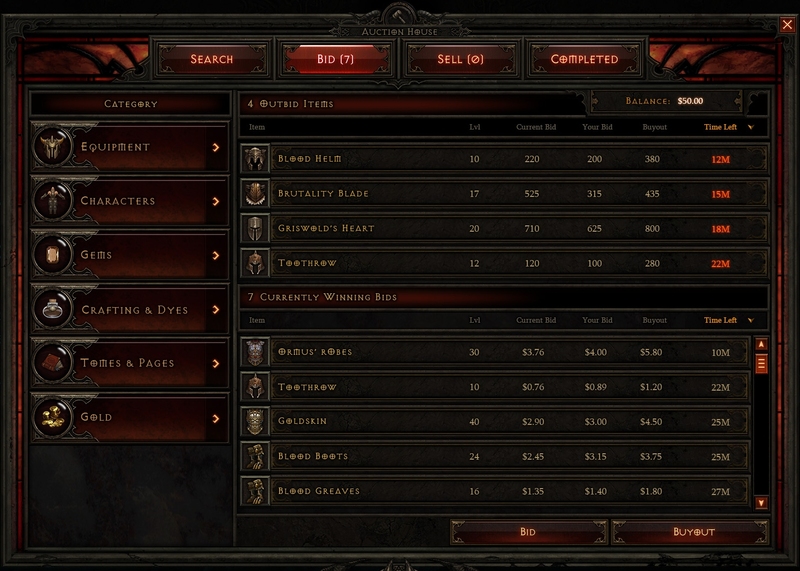 This is the complete table for the Real Money Auction House in Diablo 3. Shows your profit gain with both (I) Items and (C) Commodities. Note! The following table only applies to those that choose to cash out via Paypal and have a US bank account linked to their Paypal account. 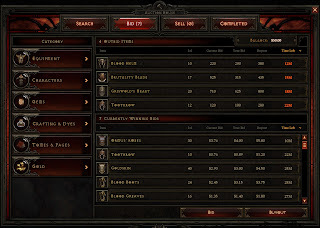 Items include weapons and armor. Commodities are gold (in game money) and the materials you use to make items (crafting material): metal, cloth, etc. TIP! Always sell items for more than $6.67 on the RMAH to maximize your profit.